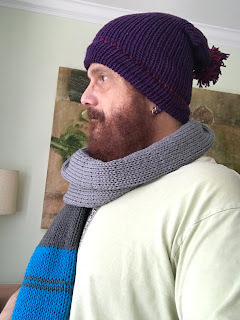 So what do you know I am writing a review for a knitting machine. I have seen these machines and I have been curious about how they work. I have read reviews and critiques, I have read the expectations of frustrated users and very satisfied users. I have been able to create so many items in a short time. You can use different yarns, buT you have to remember that the needle size does not change. You can become very creative wether you want to or not lol. This is a lovely mach8ne that will give your creative spirit hours of entertainment once you understand how to use with the least of frustration. 1. You need to see the videos from Skacel and then the videos from YouTube. 2. Realize the potential and limitations of this machine. 3. I would strongly suggest using the weights that are used for machine knitting or something to weight your proyect down while you are working. This will help you with the fact that stitches drop if you go too fast or if the yarn is not grabby enough. These are inexpensive I have used the knitters Pride knit blockers pins as weights with great success. 4. 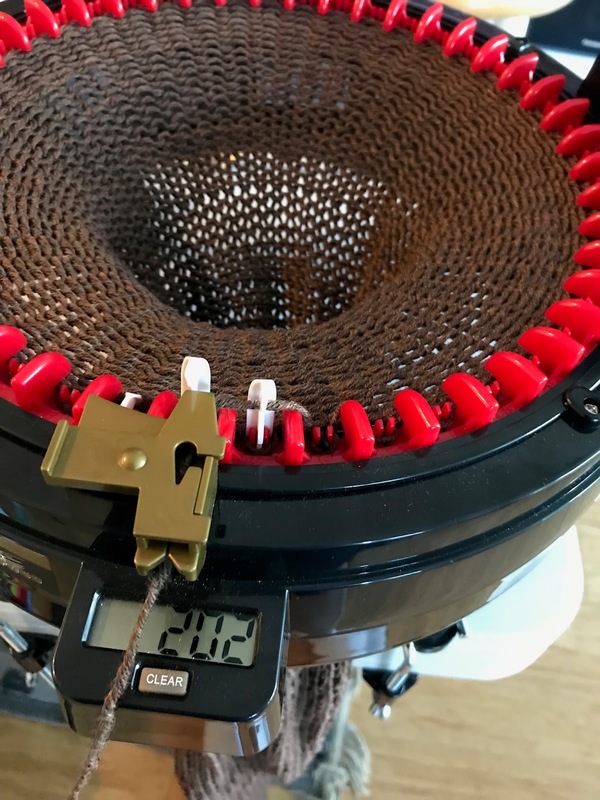 This machine is amazing and I am just starting to work with it on circular knitting. I will definitely do another review on flat knitting. Circular knitting is amazing and you do not need a special table. 5. Get this machine from a USA authorized retailer. I got this one from LionBrand. It had a great price and I am guaranteed that Skacel will honor the warranty if something is not right. I can tell you this much Skacel is one of the best companies out there when it comes to their warranty on their products. They stand 100% behind their products. 6. 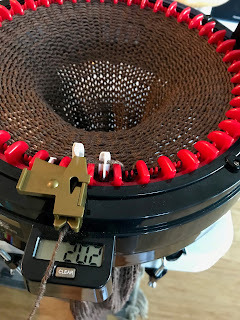 As a knitter you will use a lot of your knitting experience to get the best out of this machine. Make a 2 by 2 ribbing then transfer it to the loom to make a hat. Cast one using waste yar to have live stitches at the bottom. There is a lot more I can show and tell, but that is going to be another day. I definitely recommend this machine for those creative minds and there will be some YouTube videos coming soon. Thanks for stopping by.